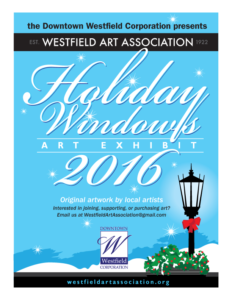 Last year was the first year that we displayed our members’ original winter & holiday-themed artwork in the storefronts of downtown Westfield throughout the holiday season. 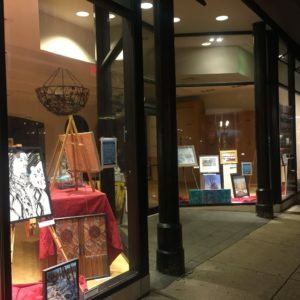 It was our way of saying Happy Holidays and spreading cheer through original, locally-made artwork, and it was a hit with store owners, residents and tourists alike. At the request of Sherry Cronin and the Downtown Westfield Corporation, we have created an all-new collection of artwork for 2016 that is on display 24 hours a day, 7 days a week on Elm Street (between Quimby & Broad). 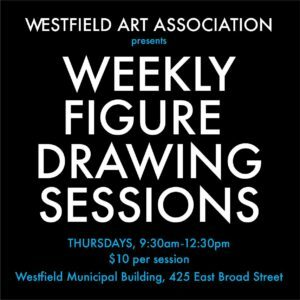 This pop-up exhibit will remain up until January 12th, 2017. 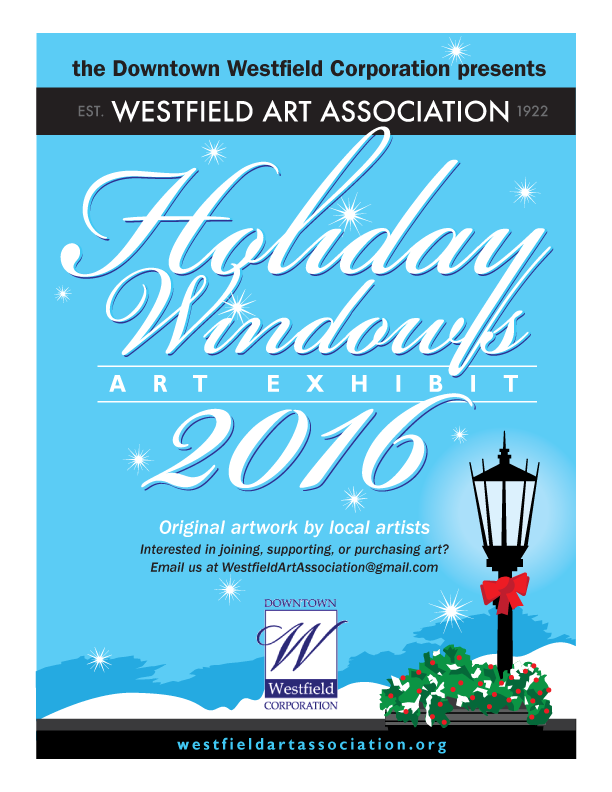 Happy Holidays from the artists, patrons, and friends of the Westfield Art Association! Next Next post: The Social Event of the Season!